A handful of surplus convention sketches on the SHOP page today. I picked up a very small amount of my G. I. Joe #224 variant and made those available on the SHOP page again while they last. For now, I’ve retired the Punisher Limited Series 5-print portfolio on the SHOP page and replaced it with Punisher Limited Series #1 as a solo print (due to a large amount of people asking for that print alone). I’ve added information on signing books at home under the Information menu. And probably a few updates I’m forgetting!? A reminder… If you’re interested in the original sketches or other limited items, remember to subscribe to the mailing list in the footer area of this site. The mailing list is notified of site updates first. Kraven the Hunter Surplus Convention Sketch! Beatty finished inking this on the eve of the final day of Toronto Comic Con. No time to market it at the show so good news for the folks who don’t get out to shows and are looking for a convention sketch style commission. Now available in the SHOP. I'll Roam the Earth Again This Year and Then See About Dialing it Back Next Year? I’m throwing a sack full of Punisher #1 and #2 Zeck Exclusive Variants over my back and hitting the convention trail hard this year. I already have the North TX Comic Book Show under my belt. Great show and great time as usual there. 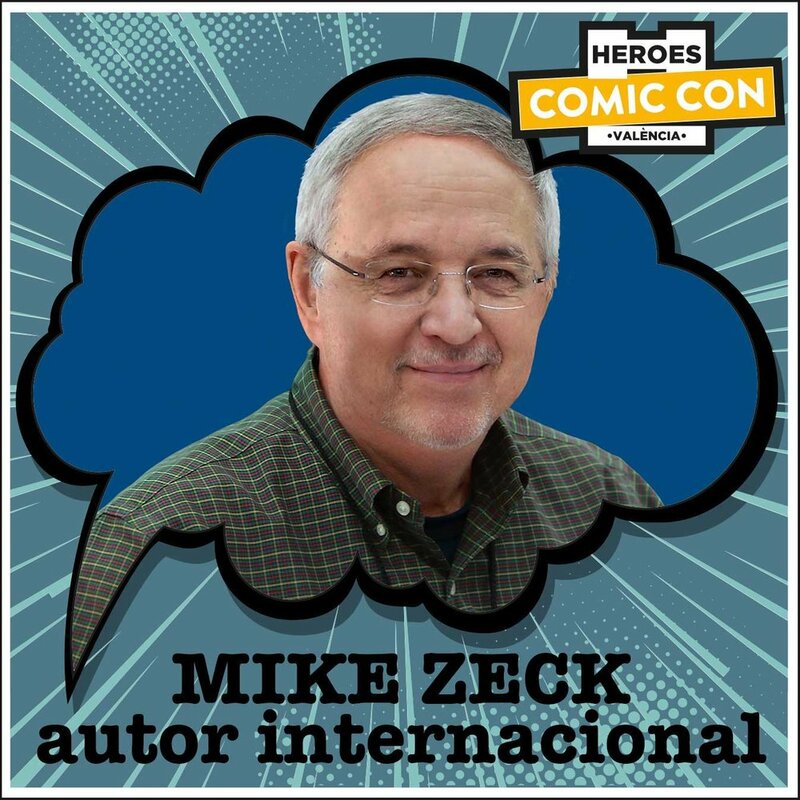 Heroes Comic Con Valencia, Spain is next up, followed by Fan Expo Vancouver, South Carolina Comicon, and Toronto Comic Con. And that’s just the start! That gives me only one weekend in the US over the next four weeks! Check my Convention Schedule page to see if I’ll be in your neighborhood this year. I’ll be adding some more latter-year shows in the coming months. And don’t forget to read the Convention FAQ page if you are planning to swing by one of the shows. That will probably mean infrequent updates here on the site and on the SHOP page since I’ll be away from home more days than not. If I make it home with a “surplus convention sketch” or two, I’ll post those to the SHOP and alert the Mailing List. If you haven’t signed up for the Mailing List yet, just visit the footer of any of the pages here on the site and supply an email address. PERSONAL COLLECTION - DC Comics titles are available now. Most of the few remaining Marvel Personal Collection titles have reduced prices. PUNISHER VARIANTS - I finally listed the Punisher #2 Hidden Gem ( 1:100 ) color variants. I only received a half dozen copies of that particular variant. That’s all I have to offer and they are regular ungraded copies. ORIGINAL ART - Some cover pencils have been sitting in my file for quite a long while. For a small press comic book titled “The Wannabe”. I set them free and you can see what that’s about on the shop page. PRINTS - I’ll keep a fairly heavy convention schedule in 2019 but after that, barring any unforeseen life events, my plan is to dial it way back. So, for many of the prints, when they sell out through shows or the shop, I won’t go back to press. Over the course of the year, I’ll note on a print title if it’s down to very few remaining. 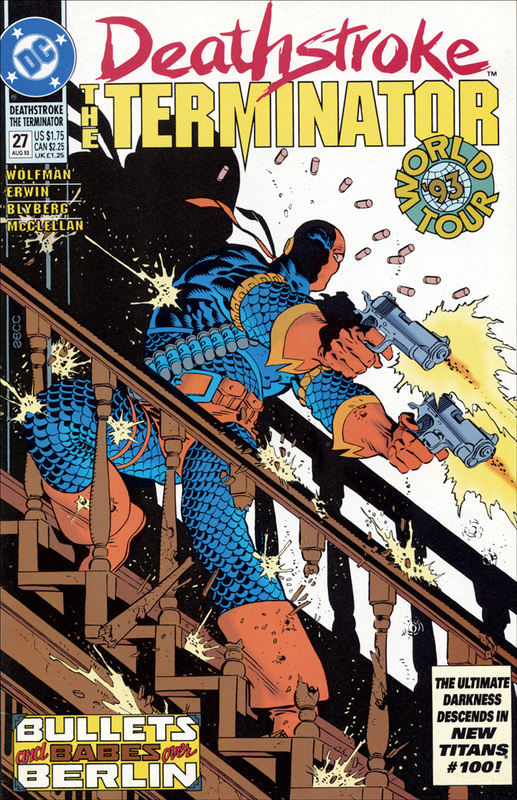 Currently, the only two in immediate jeopardy are the Deathstroke the Terminator #1 print and the G. I. Joe Yearbook #3 print. Happy New Year and hope to see some of you on the trail this year. 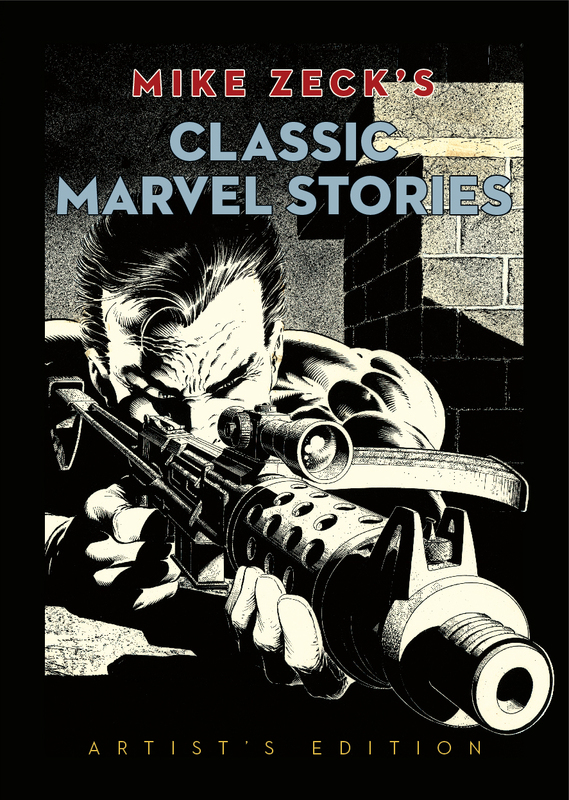 Mike Zeck's Marvel Classic Stories Artist's Edition 'Sketch Variant' -- 3 Artist's Proof sketched copies available now! Among my personal copies of the Mike Zeck’s Classic Marvel Stories Artist’s Edition from IDW Publishing, I have 3 copies of the “Sketch Variant” remaining. All are noted as Artist’s Proofs (A/P) on the remark page which was printed for this edition only. I’ve put an original sketch on that page in each of the three books, signed the art with my circular art signature, signed the title page with my full signature, and made them available on my SHOP page. A reminder to those of you who comment on social media that you saw the post too late,.. add your name/email to the subscribe area in the footer area of this site. The mailing list is notified first of any updates to the site. More Marvel titles from my Personal Collection available today! The first batch is mostly gone, so I’ve posted the balance of the Marvel titles to the SHOP page. If you’re not familiar with the “Personal Collection”, read the previous Nov 28th post for more information. I trimmed away the majority of my reference and art books before my last move but hung on to my one set of comics in which my work has appeared over the years. I’m clearing those shelves this year. My “personal collection” derives from the comp copies that Marvel, DC, or other publishers supplied to me while I was producing art for them. They’ve been with me since publication and are the only copies that will officially come from my personal collection. In almost every case, there is only one copy available. There are a few instances where I may have a couple of copies of a trade paperback or graphic novel. I’ve printed a unique COA to accompany each book which certifies that it is from my personal collection as well as certifying my signature on the item. I’ve bagged and boarded most of the Marvel titles and will continue with DC and others as I find time. I’ve begun to post them to my SHOP page. You’ll find a lot of single items and I’ll create full sets where I can - Captain America and G. I. Joe for example. Condition: I’ll first point out that I’m not a grader. I’ll then say that you won’t find any bent up or ripped copies in this collection. They’ve mostly stayed on library shelves and may show some shelf wear but in very good shape as a whole. I wouldn’t suggest that it’s a collection of 9.8s though. Pro tip: There is a row of “categories” near the top of the shop page. “Personal Collection” is a category now. 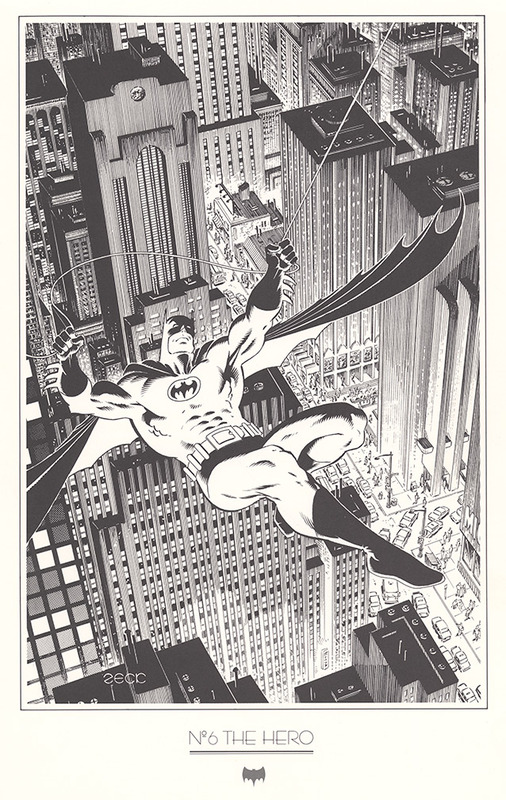 If you visit that page and are interested in seeing what’s available in the Personal Collection only, Prints only, Comics only, or?… click on a category to see only those available items. For you folks who requested that I add you to my mailing list,..
which I didn't actually have until now,.. I put a ‘Subscribe’ block in the footer area of the site. Submitting your name and email will add you to a list which will receive email notifications when I post something new to the site. Updates are far from daily here but I’ll start letting subscribers know when I do add something to the News page or Shop page (including those rare times when I post a surplus convention sketch or other art and if you’re not on social media at that exact moment, it’s gone). When I do update, I’ll fire off a notice to the Mailing List first, then post on Facebook and Twitter. So try it out. The ‘unsubscribe’ option is always there if you change your mind. Revenge of Latest Variant News: "They Live!!" After putting up with delays and after a ‘bag and board’ marathon, the Punisher #1 and Punisher #2 exclusive variants have been added to the SHOP page. Also added,… more ‘Hidden Gem’ variants, three new 11X17 Punisher prints including the exclusive variant covers, and a certain Silver Surfer Annual pinup print. MIKE ZECK EXCLUSIVE VARIANT COVER: I published my own variant and it’s currently only available from me here at this site or at convention appearances starting 2019. Copies available on the Shop page. New 11x17 cover print also available. ZECK ‘HIDDEN GEM’ 1:100 INCENTIVE COLOR VARIANT: Marvel cherry picked artwork from my Punisher portfolios originally published in France to use for incentive variant covers. I earned a certain number of copies based on my exclusive variant order. I had a number of these CGC graded and some remained ungraded. My ungraded copies have sold out from the shop. Ungraded copies are sold out. Signed/numbered/remarked CGC 9.8 graded copies of this Hidden Gem are available on the Shop page. ZECK ‘HIDDEN GEM’ 1:500 INCENTIVE B&W VARIANT: The black and white version of the above incentive cover. I CGC graded my earned copies of this variant. Two are left. Since then, Marvel/Diamond were nice enough to send extra copies my way. I’ll offer those as ungraded copies. Two signed/numbered/remarked CGC 8.5 graded copies remain on my Shop page. Ungraded copies are now available on my Shop page as well. MIKE ZECK EXCLUSIVE VARIANT COVER: I published my own variant and it’s currently only available from me here at the site or at convention appearances starting 2019. ZECK ‘HIDDEN GEM’ 1:100 INCENTIVE COLOR VARIANT: Marvel again used one of my Punisher portfolio illustrations for this incentive variant cover. I currently have a very limited number of this variant haven’t decided yet whether these will be “graded” or “non graded”. Not yet available on the Shop page. ZECK ‘HIDDEN GEM’ 1:500 INCENTIVE B&W VARIANT: The black and white version of the above incentive cover. I have more copies of this #2 black and white incentive variant and will leave some of them ungraded. Ungraded copies are now available on my Shop page. Without an exclusive variant order, I won’t be earning the ‘Hidden Gems’ and unknown at this point whether Marvel/Diamond will send any comp copies or not? If I do receive any of the ‘Hidden Gems’ for those three issues, I’ll post that information. When I had the idea to team up with friend and airbrush artist Phil Zimelman for potential painted covers at Marvel, this image was our first attempt. I submitted it as a possible cover for the first issue of the Punisher Limited Series. The editor liked it well enough to suggest it be used as a Marvel poster, published as “Marvel On Sale Poster: Punisher #1”, and that Phil and I should create five new images for the Punisher Limited Series. A small amount of those posters have been stored since their release in 1985. I recently signed and remarked them with a Punisher head sketch and have made them available on the SHOP page. Baltimore Con + Zeck + McLeod = Two More Kraven Sketches! Took advantage of sharing the show floor with Bob McLeod again for the final time this year. Got on his “ink list” so he could lend his talents to a couple more Kraven the Hunter sketches. Available now on the SHOP page. My Personal Punisher #1 Incentive Variants Now Available To Buy! If you’ve been following along, you know that Marvel is using some of my Punisher Portfolio illustrations as cover art for incentive variants for the first five issues of the newly renumbered Punisher series. With the Punisher #1 Zeck incentive variant, shops earned a “color cover variant” for every 100 Punisher #1s ordered and a “black and white cover variant” for every 500 Punisher #1s ordered. That makes them somewhat rare. I personally received from Marvel - 30 “color cover incentive variants” and 6 “black and white cover incentive variants”. I initially indicated to those who asked that I probably wouldn’t be offering incentive variants here. That’s mostly changed since it makes good sense to offer books from my personal collection here on the site. I’ve taken all 6 of the black and white cover variants, dubbed them the Platinum Series Black and White Cover Variants, signed them in white using my circular art signature, remarked them with a Punisher head sketch, and numbered them 1/6 - 6/6. Then had them CGC graded and described as my personal comp copies to verify they came from my collection. These 6 copies are the only copies which will be signed, numbered, and remarked in this manner. These aren’t on the site as of yet,.. but.. the first of these is now available through long time friend, authorized CGC dealer, and highly rated eBay seller, Dan Partouche whose eBay shop is “onestopcomic”. Here’s a direct link to his onestopcomic shop page on eBay. His plan is to start the auction at around 9PM on Wednesday, Sep26, so if you’re linking there prior to that time, you may not see the listing yet. No 9.8 grades on the black and whites. Dan is offering the 9.2 this weekend, the highest grade of the six. I’ve taken 20 of the color cover variants, dubbed them the Platinum Series Color Cover Variants, signed them in white, remarked them with a white skull, and numbered them 1/20 - 20/20. Then had them CGC graded and described as my personal comp copies to verify they came from my collection. These 20 copies are the only copies which will be signed, numbered, and remarked in this manner. Most of color incentive variants earned 9.8 grades from CGC. I’m offering 15 of the 9.8 copies on my SHOP page starting now. I’ve taken the remaining 10 of the color cover variants, dubbed them the Gold Series Color Covers, signed them in gold, remarked them with a gold skull, and numbered them 1/10 - 10/10. They’re bagged and boarded and will include a signed/numbered COA describing them as coming from my personal collection. These are from the same batch that received mostly 9.8 grades so expect them to be in excellent condition. Ungraded and discounted and all 10 are available on my SHOP page starting now. Dan or I will start shipping all purchases once we return from the Baltimore Con. Questions continue regarding my exclusive Punisher #1 variant and I have a lot of questions myself, but so far not much in the way of answers. To my knowledge there should still be another printing to fulfill my Punisher #1 exclusive variant order? Would be very interested to know when since my Punisher #2 exclusive variant is due to drop this coming week. Surely looking like the #2 variant may be available before the #1 variant?!?! 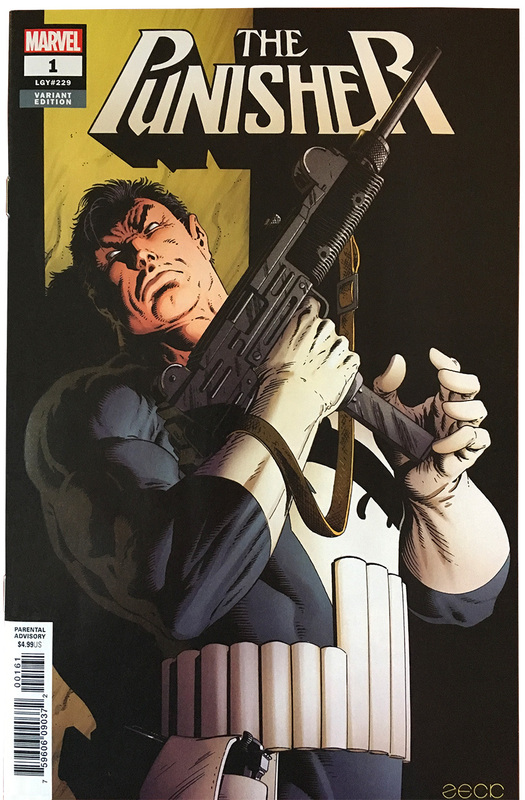 Punisher #2 Zeck exclusive with trade dress. A Couple of Zeck/McLeod Kraven Sketches Available By Way Of the Cincinnati Comics Expo! Last weekend I was lucky enough to share the Cincinnati Comics Expo Artist Alley floor with my fellow “Kraven’s Last Hunt” creators, J M Dematteis and Bob McLeod. And was clever enough to honor the event by instigating a few Zeck/McLeod Kraven combo sketches. Now available on the SHOP page. Read the entire descriptive text for the “Kraven (right)” piece. ...as well as examples by a few other artists you may have heard of :-) Steve Ditko, Jack Kirby, Carmine Infantino, John Byrne, Bernie Wrightson, Dave Gibbons, Herb Trimpe, Gil Kane, John Romita Jr., Joe Jusko, Frank Cho, Frank Thorne, Gene Colan, Mike Sekowsky, Mort Lawrence, Mike Vosburg, Frank Springer, Tom Sutton, Jason Palmer, and Gerhard. The Entertainment Memorabilia Live Auction is just a few weeks away, September 20. If you're interested to browse the art, this link takes you to the original art category listing. If you want to view the entire catalog as a pdf or learn how to register, use this link. Still waiting for the printer and UPS to resolve some issues and I'm hesitating to offer variants until that happens. Printer glitches and missing boxes are unfortunately all too common in these days of disappearing job quality standards. Here's the oddest example. One of the boxes in the shipment that did make it to my door didn't contain Punisher variants at all,.. it contained pants!.. athletic pants,.. black with yellow-green side stripes,.. and not my size?!?! Getting a number of emails asking when the variant will be available on my SHOP page and also some understandable confusion about which Zeck variant will be for sale there. 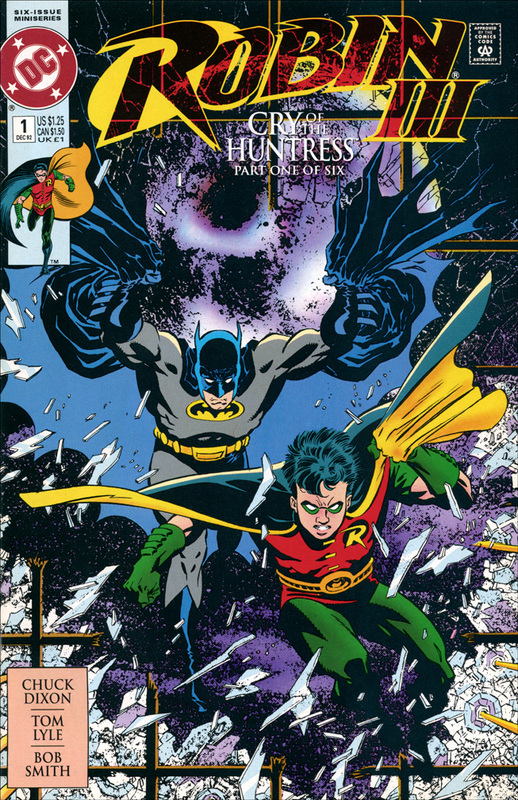 Cover to the exclusive variant, limited to 3,000 copies. That's the one which is only available from me and at the moment that will be either through my SHOP or at convention appearances. It's a limited edition variant cover and only 3,000 copies are printed. I expected that I would have it available to order this week but printer and UPS foul-ups have delayed the delivery. Right now I'm expecting to be able to offer them through my SHOP sometime next week. I'll post here and on social media as soon as I do. Cover to the color incentive variant available to qualifying orders. Marvel has planned that the first five issues of the newly numbered Punisher series will feature art from my Punisher Portfolios which were published in France as one of their incentive variant covers. Stores with qualifying orders will receive those. For Punisher #1, there is a color version. Stores earn one of those for every 100 issues of the regular version they order. There is also a black and white version. Stores need to order 500 copies of the regular version to earn one of those. I won't be offering the incentive variants through my SHOP, at least not yet. My current plan is to take my portion of the incentive variants, have them graded, and make those available on Collector Boards, eBay, or...??? Whenever that happens and if anything changes regarding any of the variants, I'll post some information here. Cover to the B&W incentive variant available to qualifying orders. 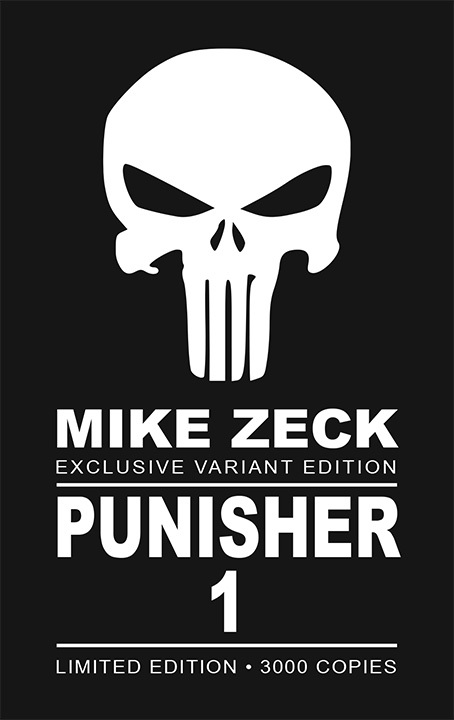 Mike Zeck Exclusive Punisher #1 Variant! 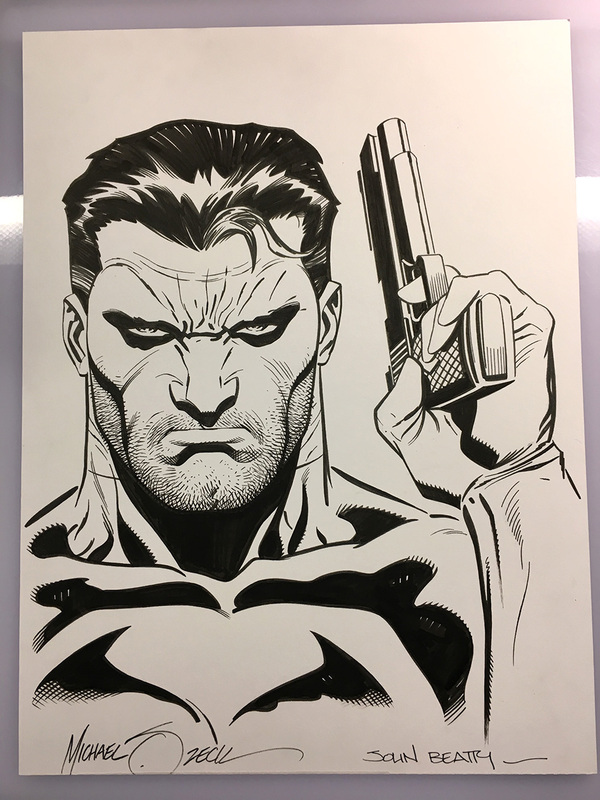 Cover art for Mike Zeck Punisher #1 Exclusive Variant. Approximate trade dress and element placement. 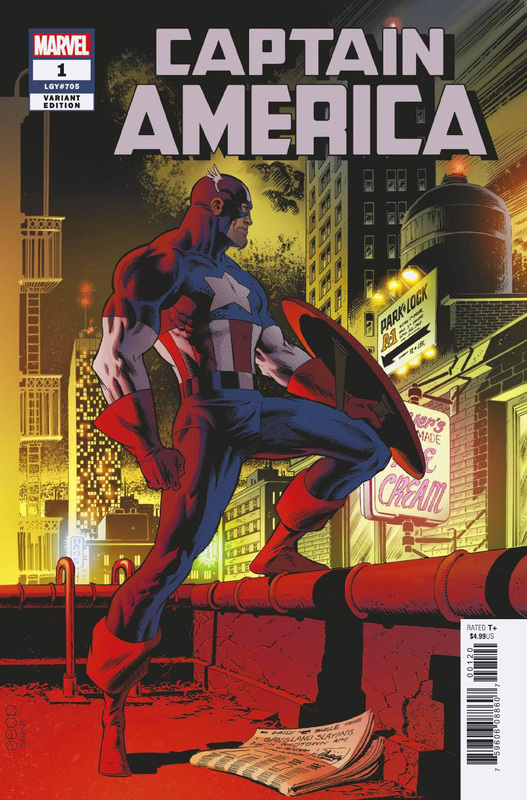 Captain America #1 Mike Zeck variant cover. If you follow this stuff, you might know that Marvel has recently begun to locate images which haven't yet been published or at least not used for covers, then remastering the art and creating variant covers. 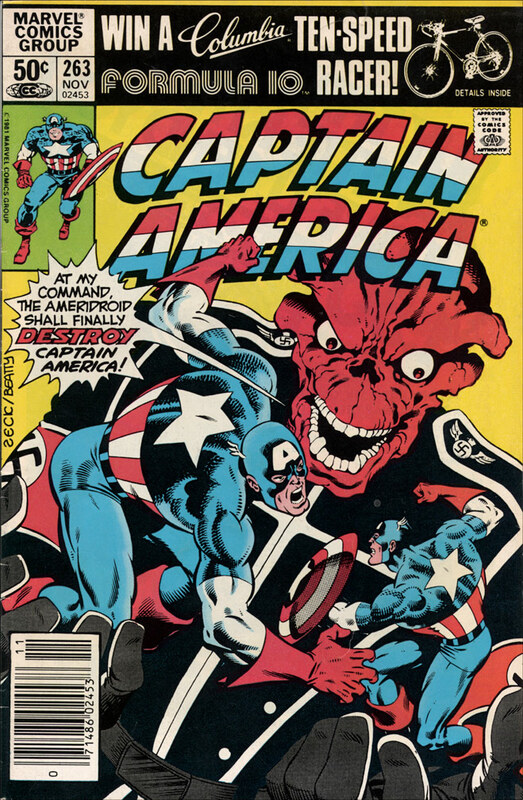 They've already gone back to one of my plates from a 1983 portfolio, published by Editions Deesse in France, to use as a variant cover for Captain America #1. Editions Deesse also published two Punisher portfolios featuring my art. Marvel will pick from those and create remastered incentive variants for the first 5 issue story arc of the newly renumbered Punisher series. The above art for my exclusive variant is a piece that I penciled sometime in the 80s and then set it aside. I pulled it out again in the 90s and inked it, and then set it aside again. Until now! I think Punisher #1 exclusive variant is an appropriate place for it to finally see print. I have another Punisher piece which I'd like to see as a cover, so a Punisher #2 exclusive variant is likely? Punisher #3...??... Haven't decided although I can think of one other unpublished piece that would work?? "How can I get one?" ( 1 ) On August 22, the on-sale date for Punisher #1, or very soon after that, I'll make the variant available on my SHOP page. I'll still have my $50 minimum order request so order a few or order in any combination of books and prints. If you're interested in a large quantity of variants, you're welcome to email me first. ( 2 ) I'll of course have a limited supply with me at conventions. With the timing of the release, it appears that the Cincinnati Comic Expo will be the first stop where I'll be offering signed exclusive variants. Good time for a reminder to check my Convention Schedule page to see if I'm going to be in your area. And if you haven't stopped by my table yet at a Con, check the Convention FAQ page where you'll find answers to most questions. BTW... If you haven't yet seen the Marvel incentive variant featuring art from Punisher Portfolio One, check it out at left.